As I scrolled down my Facebook newsfeed this morning, someone had shared this video. I'm not really into Selfies much, but I figured I'd take a gander! and just basically her image at times. and how they express it in front of their daughters, it hit home. You know, the pesky visitor that hits us just when we don't want it to! 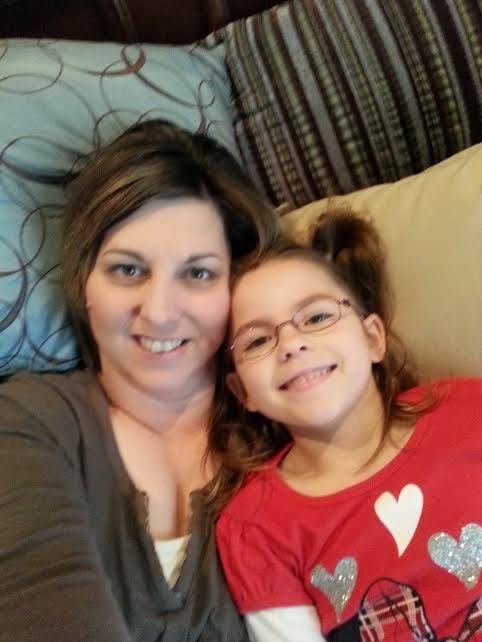 With my two older daughters, I was very vocal about my body insecurities. I still do on occasion, but I try very hard not to with PV or the older girls now. 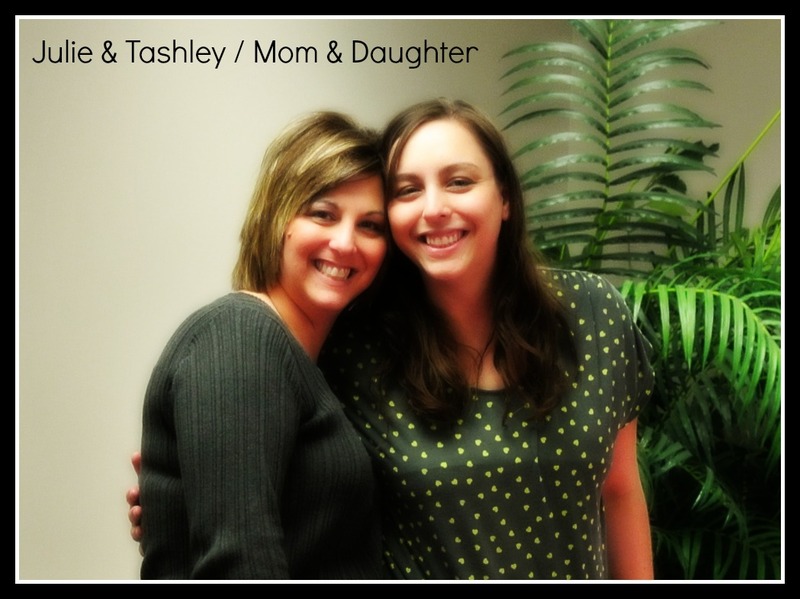 of how my vocal expressions of myself affected my daughters. that I speak too often about this particular subject. In front of my children. but it was also a wakeup call. I didn't change overnight, but I am much better than I used to be. 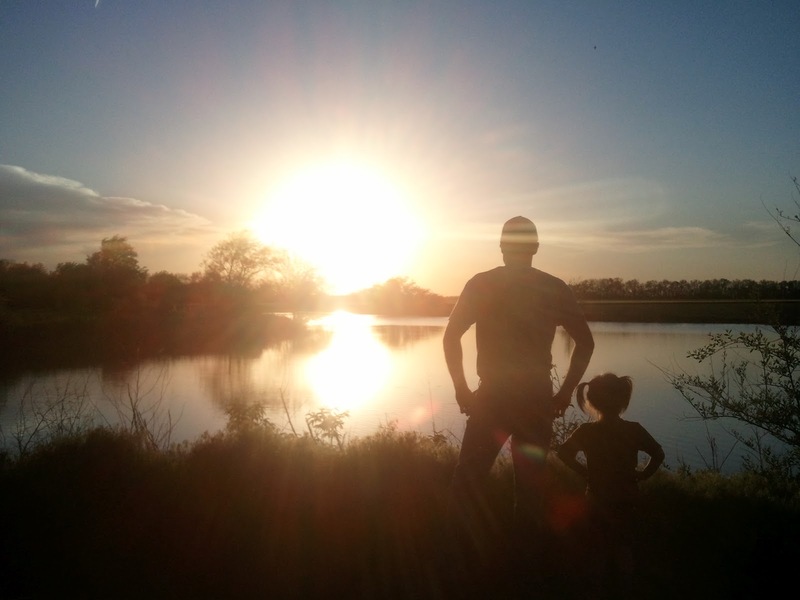 I still have the insecurities, I just don't voice them in front of my children. The damage I did, I see it on occasion with my older children that are adults. Could I have done better. Can I tell my story to others to help them. To inspire you, the way I have been inspired. Know this, beautiful or flawed it doesn't matter. Those children before you, embrace you for who you are. Keep the words at bay, talk with a close friend about your insecurities. Tell the child that beauty comes from within. I invite you to come with me on this journey. forefront of the daily life we lead! I do not. I guess I look at it this way. They are bringing awareness to those Mothers/Parents that express openly negitive comments and if they give a wake up call to one of them, then it was worth the tons of money they spent on the advertising. There are ALOT worse advertisements out there for products we use. One morning this week, I was getting ready for the day, and began my thought process. This is when I usually make my "lists" , which include anything from groceries, to do's, blog post items, meal planning, etc. recall good times to help me get to feeling chipper? So I did. I started recalling times that brought me joy or happiness. I'd like to share some with you. I'm sure the reason this one came to mind first, is because some ladies at our church, myself included are hosting a baby shower/fund raiser for the friend. I delivered a loaf of bread to her house, and her husband answered the door. She’d been away on a Haiti mission. To this point in our relationship we weren't super close, just warming up to the friendship department I'd say. I was the one that received so much in less than 5 minutes. This is where I think we truly became connected as friends. 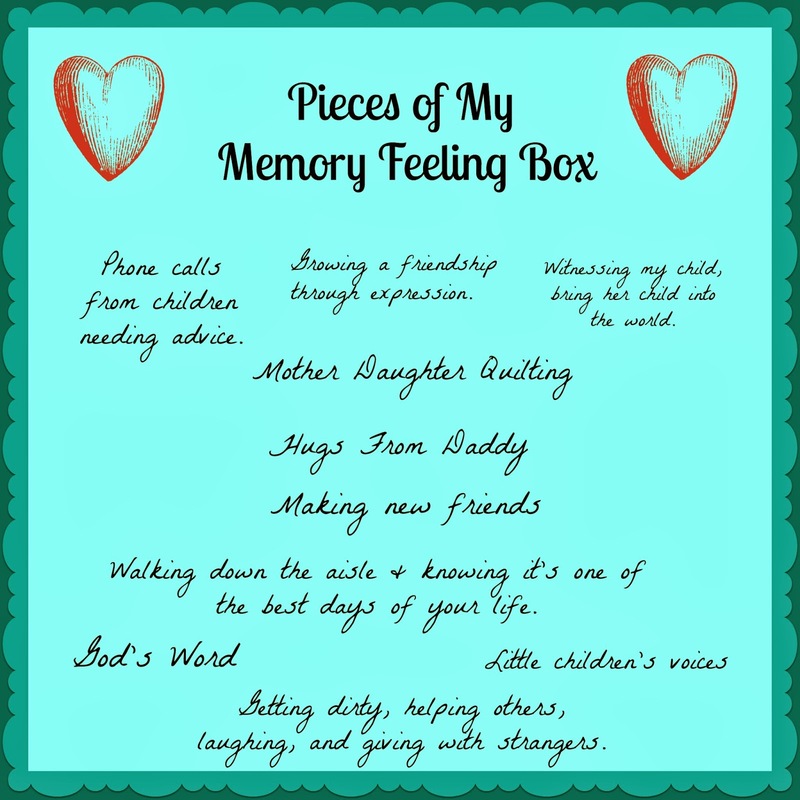 This is a treasure for my "memory feeling box". Walking across the stage to get my diploma from High School. It felt like such a huge accomplishment for me, after becoming a Mother at such a young age. Making my middle daughter's quilt with my Mother. We tied it in my backyard in the sunshine. Walking down the aisle to marry Milton. Having my 2nd born call for marriage or cooking advice. Watching my husband meet his daughter for the first time. school that looked almost as scared as I. Later to become my best friend. Watching my 1st born deliver her 1st born. My first mission trip with a youth group and great co-leader to Kansas City. It was hard, it was wonderful, it was perfect, yet not so perfect. I can still see the block of houses we worked on and the children playing in the streets with our youth the last day we were there. That was one of THE best choices I ever made, going on that trip. her way out the car to school. bring a smile to your face, and peace in your soul. Relish them. Just bask in them for awhile. Let the other things go to the side. I'm guessing kinda lovely. Let's practice this often shall we? It was a lovely day out today for January. The sun was shining, it was jacket weather, and so the Chirps were free to roam the farm yard. Our ladies enjoy wondering around, and they enjoy hanging out with the cattle. went over to collect eggs and put the chickens away in the coop they found this. PV's words were "This isn't going to be good"! 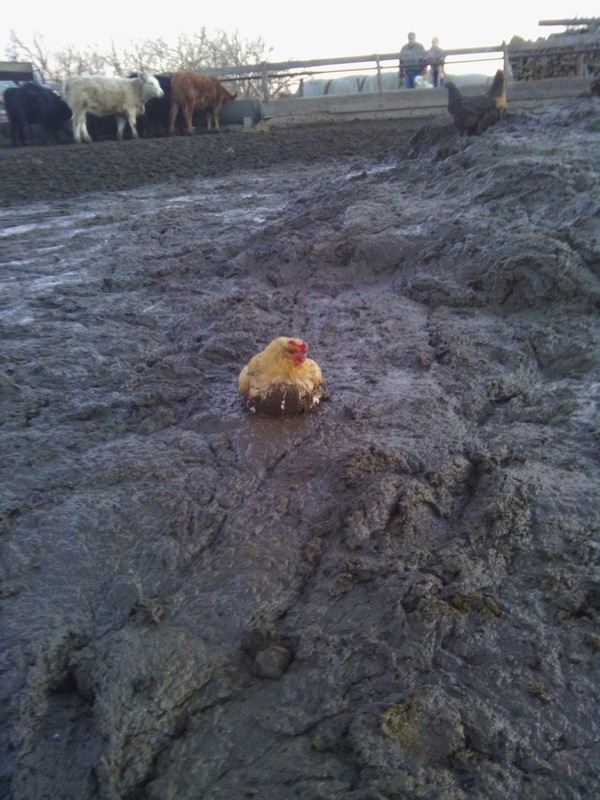 Yes that is a chicken stuck in the mud manure of a cattle pen! See how PV and Grandpa are in the background! Even the cattle are steering clear! 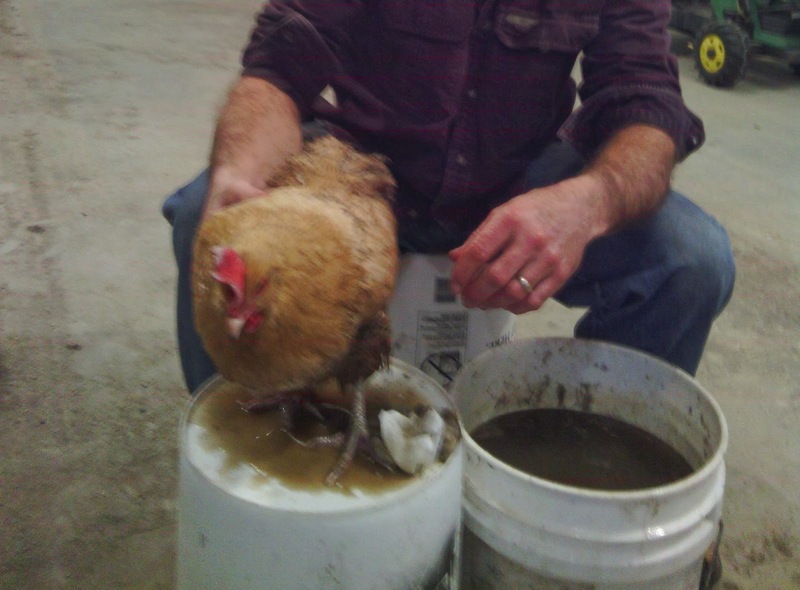 Yep, Milton got dirty to save the chicken! All is well and they washed the little lady off and put her in the coop! That's about it for the excitement at our farm today! What exciting thing happened to you today??? trip to the "garage spa" to get cleaned up ! 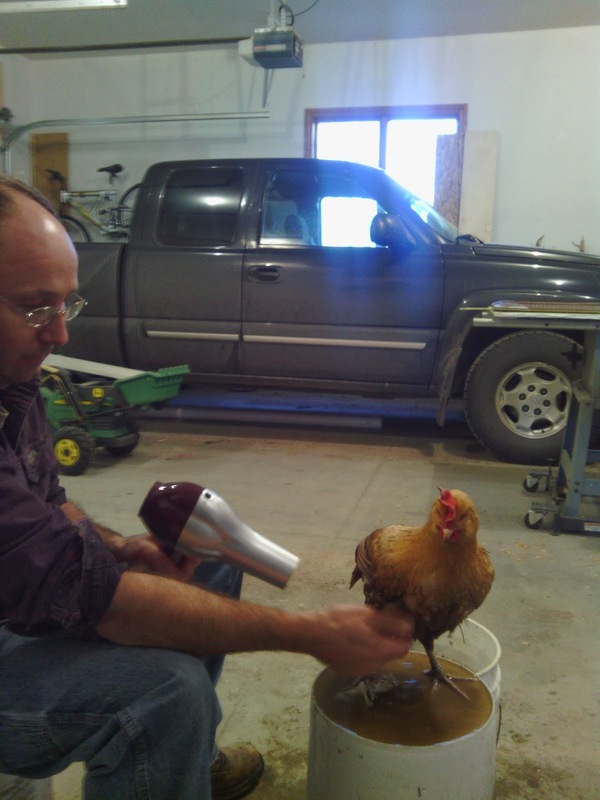 Warm water bath and blow dry! Gotta love my husband for doing this! ES had her 3rd Birthday! The best part of my weekend was this. I am so happy I caught this shot! 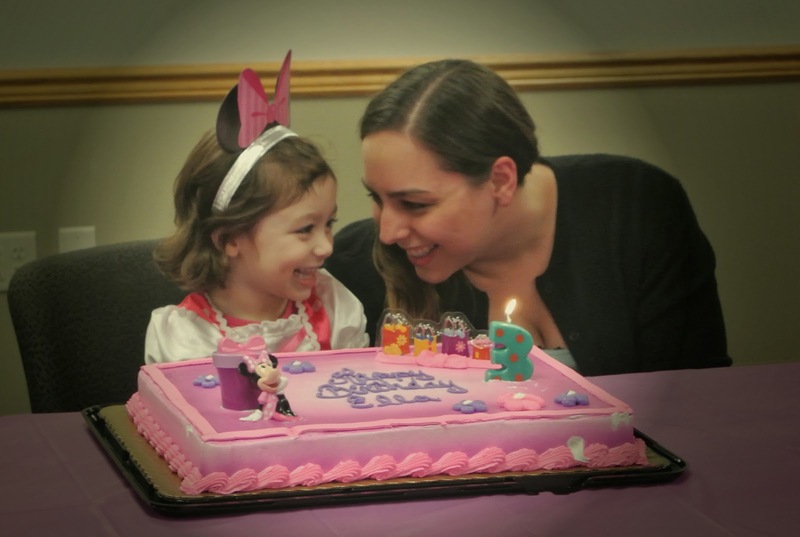 Happy 3rd birthday to our Little E! This morning, as I sat in the somewhat quiet moments before anyone was awake in our home, I looked up to see out the window an 85 year old man backing the feed wagon up to the silage pit. Although there was a brisk wind, and it was still only 40 degrees out, he then proceeded to unhitch the feed wagon from the tractor. Climb back into the tractor and fill the feed wagon with silage. Then he will get back out of the tractor and re-hitch the feed wagon. And do it again tonight and tomorrow and the next day, twice a day. To feed the 200 head of livestock. this man is still doing this every morning and evening. "why is this 85 year old man still farming"? Because it makes him happy. The first one is "The Amish Cooks Baking Book". My oldest daughter gave it to me for Christmas. 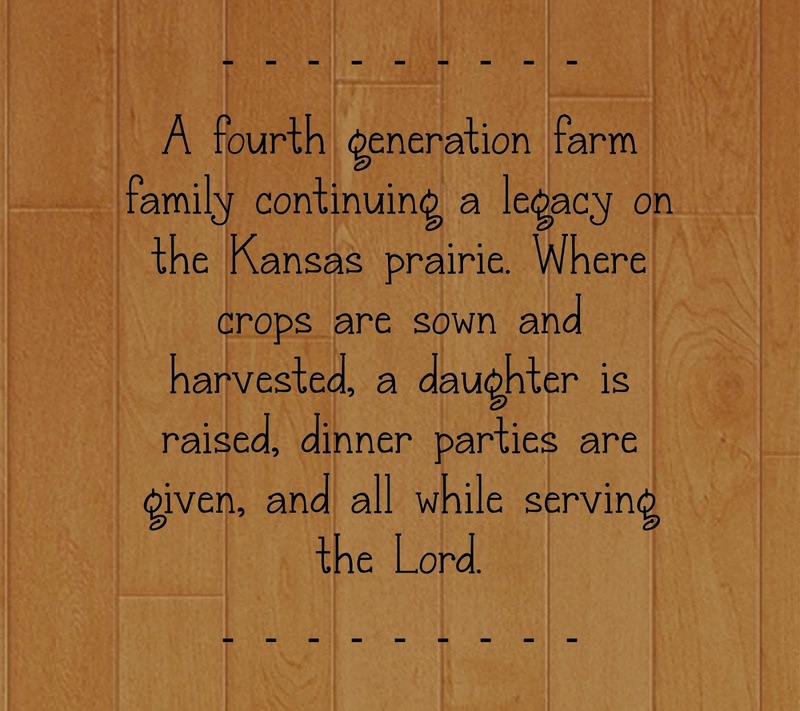 I've read about half of it and I have always been interested and envious of the Amish way of life. The simplicity of it. The recipes are pretty basic but look delish! I am considering committing myself to one new item from this cookbook per month this year. It's still out for debate, as you can tell from this post how my life currently is gearing up for more commitment elsewhere! The third cookbook was a gift but I was able to pick it out myself. 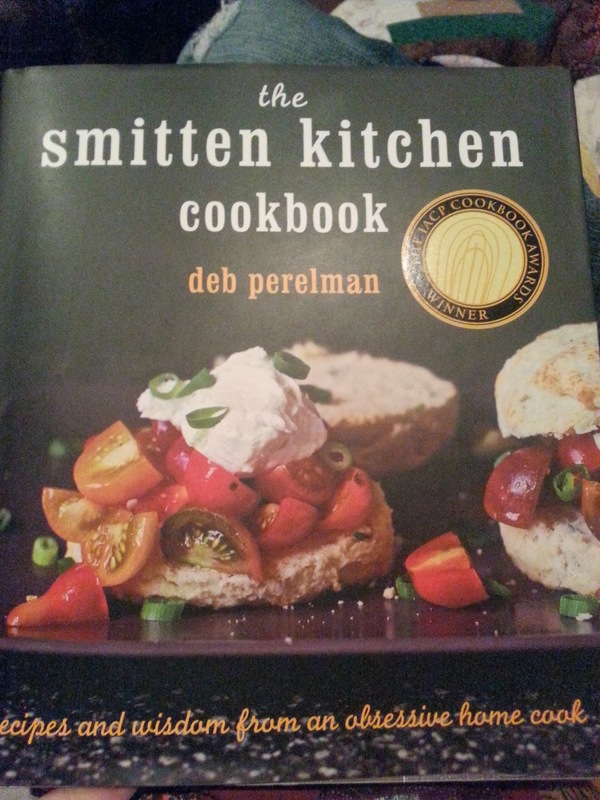 I had received a gift card for my birthday and after reviewing a few cookbooks I chose "The Smitten Kitchen" by Deb Perelman. She has a blog as well, but her cookbook reviews were really good and I've started following her blog. You can find it here. I almost ordered this cookbook, I'm still considering it I'd like to go to a bookstore and peruse through it first though! I use Pinterest and blogs alot as well, but there is just something about reading through a cookbook. It brings me calmness and excitement at the same time, to dream of creating some wonderful food to share with others. If I have my way, you will see some blog posts from each of these cookbooks in the future! We have our annual couples gathering here in February, so I need to begin planning it! Perhaps something from these cookbooks will be created! Honestly today has been rough for me. the world is against me kinda days. I won't bore you with all the details, I will just jump to the following. This afternoon I had finished doing some out of the office work and stopped to get a hot chocolate. Yes I treated myself, a massage was on the top of my list, but once again I talked myself out of it. The hot chocolate (although over priced) was cheaper and delish. The calorie packed punch I needed. I get back in my vehicle to go back to my office, look up, and this is what I see. I struggle so very much with this. I'm not going to write anything else. Let's just ponder this shall we. 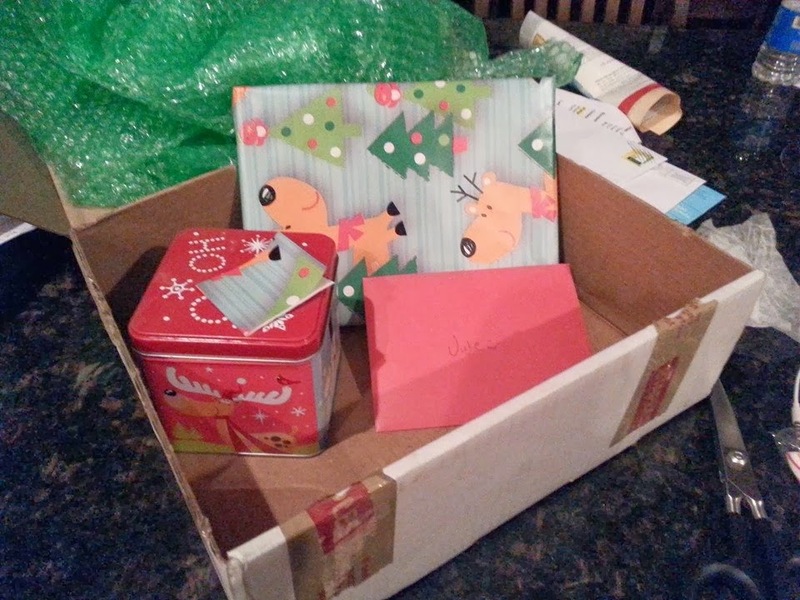 You are familiar with the Christmas in the Country gift exchange due to me writing this post. Well it's time to reveal the lovely gifts I received! Jessy & Chris @ WestEastern sent me some fabulous gifts! I was very excited when I pulled into my driveway & saw a box sitting by my garage! :) I was done with Christmas shopping so I knew it wasn't something I ordered. And oh I did! I am not sure I ever mentioned it in my blog or not, but the yummy goodies inside the tin were Chocolate caramels. I LOVE CARAMELS! They were delish! I did share maybe one or two with the hubs. On Christmas day I opened this lovely card and a beautiful piece of art by Chris. It's truly a piece of art. I love it! Thank you so much to my Christmas in the Country partner and I hope their 2014 is a blessed event! Their website is great and I advise you all to go check out their adventures! P.S. My partner that I sent a gift to is Judi @ FARMnWife!